Think you should maintain an exclusive relationship with the credit card you chose in college? Should you even try? And are there any credit card offers that will grow with your needs? The truth is few Americans maintain a credit card account for decades. New offers come along, financial needs change and what you might considered a bonus benefit in college might not even be relevant by the time you reach adulthood and certainly as you head into retirement. Still, though, there are credit card offers that are to the point, aren’t complicated with overwhelming guidelines that you must adhere to in order to take advantage of bonus points and that can transition with you through the course of your life. The trick is to find them. Those credit card choices that transition with you through life are those that are simpler in terms of what they offer. One look at the ever changing landscape of today’s credit card choices reveals how quickly they evolve. What companies are offering today are based on consumer demand and it’s that demand that shifts over time. If you’re looking for a life-long partner in your credit card, stick to the basics and stick to those companies that will help adjust the specifics of your card over time. Remember, credit card companies are all about building loyalty – and there’s no more loyal customer than the one who’s been a decades-long card carrier. This credit card offer does have a rewards program, but we’re including due to the simplicity of the rewards program. No need to stand on the dining room table, spin clockwise three times and then touch the ceiling six times – in other words, there aren’t a lot of specific rules to follow in order to take advantage of your benefits. This offer allows 1.25 dollars earned on every dollar spent – no exceptions. Your bonus miles allow you to fly free with no black out dates and the 0% intro rate is great no matter your age. Finally, the absence of an annual fee makes it a nice choice to carry with you through life. This is a classic and has been around for many years. To keep this traditional charge card relevent, AMEX has consistently given its hallmark card a facelift by offering exclusive Gold Card events, purchase protection and impressive membership rewards. The only drawback, as far as we can see, is the $125 annual fee. Still, there are Americans who have carried an AMEX gold card for many years. There’s no doubt this company has the golden formula. This card offer touts a 12 month 0% intro APR for both purchases and balance transfers, no annual fee and a 1:1 ratio for points and dollars spent. We like the rewards aspect, too. Many consumers say they’re here to stay and it’s consistently ranked high in consumer satisfaction. Use your rewards for travel, merchandise and much more. Always a classic favorite, this gem is loaded with benefits that will serve your purposes through the course of your life. The fact that’s still the most highly ranked credit card offer on the market in terms of customer satisfaction isn’t bad either. The 24/7 instant access to a live customer service rep is something everyone can appreciate, along with the absence of an annual fee, up to 20% cash back bonuses when you shop through the Discover website and impressive security features that give you peace of mind over the years. As you’re trying to determine the best offer, consider more than what your current needs are. What are your goals ten or twenty years from now? Want to retire early? 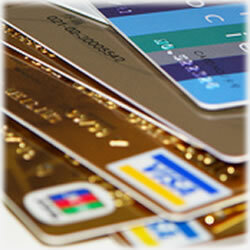 Choose a card with no annual fee. Just out of college and no plans to marry and settle down soon? Understanding that will likely not be true over the next decade, still choose a card that allows bonuses that you’ll use both as a single person and one who’s married and beginning a family. Finally, remember that you always have negotiation options. If you’ve had a card for some time and receive a better offer, call your current company and see if they can match that offer or even sweeten the deal more if you stay. Loyalty is important for the company too. They don’t like losing long time customers.